Wrongful Death Category Archives — Illinois Personal Injury Lawyer Blog Published by Illinois Personal Injury Attorneys — The Collins Law Firm, P.C. If you are putting your infant to sleep in an inclined sleeper, you should stop using it and find an alternative. 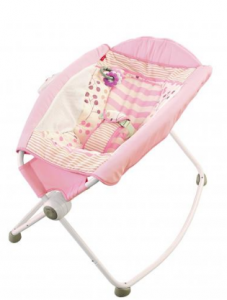 On April 12th, Fisher-Price recalled 4.7 million of their inclined Rock ‘N Play Sleepers, and advised parents to stop using the product immediately. The American Academy of Pediatrics had previously urged the Consumer Product Safety Commission to recall the Fisher-Price Sleeper after a Consumer Reports investigation revealed that it was tied to 32 infant deaths. February 12, 2018 | The Collins Law Firm, P.C. Here is the latest press coverage of a story about Karen Dobner, a strong, courageous and determined mom, who worked for seven years to help law enforcement take down the drug ring that sold her son, Max, the synthetic marijuana that ultimately caused his death. Karen was one of our clients, and our investigation in her case turned up a nationwide distribution network that now, thanks to the work of Karen, law enforcement, and Dave Savini at CBS 2, will be brought to justice instead of making and selling synthetic drugs to unsuspecting teens who may not know how dangerous they are. It’s not often you get to work on a case that can make an impact like this. Manslaughter…..or Voluntary Act……or Free Speech? Roy then killed himself by getting back in the exhaust-filled truck. Carter listened as Roy suffocated to death; failed to alert authorities; and did not tell Roy’s parents, even after she knew that Roy was dead. Roy’s body was discovered in his truck the next day; Carter had nothing to do with the discovery. Jennifer Flory of Illinois thought she was getting her daughter, Alison, the help she needed when she sent Alison to what had been advertised as a home for addiction treatment in South Florida. Sadly, however, Alison died from a drug overdose, smoking crack cocaine laced with an opiate. Jennifer learned in the most tragic way possible that she had been deceived into thinking that such places would help her daughter. Perhaps predictably, the dramatic rise in opiate and other drug abuse has spawned an industry of so called “drug treatment” centers and “sober homes”, often located in warm, sunny and inviting Florida. Many have aggressive recruiters, seemingly thorough and informative websites, and TV commercials. The idea is that the addict is sent to live in one of these facilities, where, caring loved ones are lead to believe, the addict is getting virtually round-the-clock attention and professional care. But, while there are indeed proven and effective facilities in this industry, many are scams, set up to drain the insurance policies of terrified parents who will do anything to help their child through his drug problem. These unscrupulous places frequently offer very little support or structure-or even professional treatment-for the addict; some even allow the addict they are supposed to be treating to continue to abuse drugs. November 22, 2016 | The Collins Law Firm, P.C. The Illinois Supreme Court recently decided a case that directly affects the amount of time a plaintiff has to file a wrongful death suit after the death occurs. Prior to the case, the statute of limitations proscribed a two year window for filing of a lawsuit after a death caused by negligence. After the Supreme Court’s decision in Moon v. Rhode, plaintiffs now have two years after discovering that the death was wrongfully caused to file suit. This distinction could be the difference between having your case dismissed for being untimely and being able to successfully prosecute a claim for damages. The Moon decision incorporates the discovery rule, a rule often used in personal injury cases. The rule states that the statute of limitations only begins to run once the injured party “discovers” their injury and the cause of that injury. A classic example would be cancer caused from exposure to chemicals in the workplace that is only discovered years after being exposed to the chemicals. Because the injured party did not “discover” the injury (cancer) until later in life, the two year statute of limitations did not begin to run until this discovery. The same is now true for wrongful death cases. The statute of limitations does not begin to run until the plaintiff “knows or reasonably should have known” that the death was wrongfully caused. Typically, this will apply to medical malpractice cases where a layperson may not immediately understand that the death of a loved one was caused or contributed to by negligent medical care. While this new holding will be extremely helpful to those plaintiffs who do not know that their loved one’s death was wrongfully caused, those who believe there was an issue of medical malpractice should not wait to talk to an attorney. The statute of limitations applies to those who should have known that the death was wrongfully caused and any time spent waiting could compromise your case. Hopefully, this new rule will benefit those families who have lost a loved one only to find out later that their death was wrongfully caused. Now, that discovery can be used to restore their family and hold those responsible for the death accountable. Earlier this week, a federal criminal complaint was filed by prosecutors against a former smoke shop owner and her employee over the death of a young man who smoked synthetic marijuana purchased from the shop located within a west suburban mall. That young man was Max Dobner, an excellent college student, loyal brother, loving son and fine young man who made the simple mistake of believing that this synthetic product purchased at his local mall was both legal and safe. If Max had any clue as to how dangerous this product was he would have never tried it. I can say this with confidence because our firm had the honor of representing Max’s family in a civil lawsuit for his wrongful death. Tragically, and despite frequent news reports, the real dangers of these toxic and lethal products still go unrecognized by many. According to a press release issue this week by the American Association of Poison Control Centers (AAPCC), poison control centers throughout the United States have experienced a dramatic spike in calls related to exposure to synthetic cannabinoids. AAPCC reports that between January 1, 2015 and April 22, 2015 poison control centers have received 1,900 exposure calls from people experiencing adverse reactions to these drugs. This figure represents a fourfold increase over calls in 2014. The sobering truth behind these statistics is that people still don’t understand the magnitude of the dangers these products present. According to Dr. Eric Wish, director of the Coordinating Center for the National Institute on Drug Use (NIDA), “[o]ur research shows that people are playing Russian Roulette with their lives because only the chemist creating the synthetic cannabinoid really knows what is in it.” The health effects from these drugs include inter alia: death, brain damage, permanent neurologic disorders, intense hallucinations, psychotic episodes, severe agitation, anxiety and suicidal thoughts.